What About Real Estate in Bell Buckle, TN? 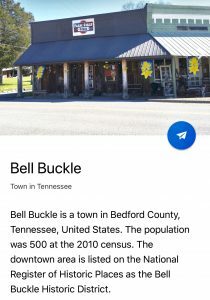 2018 Mi ddle TN Real Estate Sales Stats for Bell Buckle, TN: 81 Residential homes sold during 2018. The sale price variety greatly, with the minimal being $79,900 and the maximum being $800,000. Of those 81 homes, 61 were under $300,000. 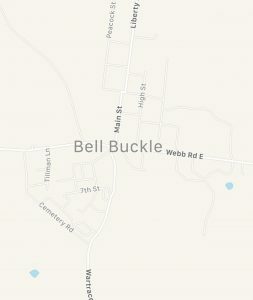 Many of the prospective buyer that called me in recent years inquiring on Bell Buckle have been folks looking to live in the quaint historic town of Bell Buckle, as they appreciate more open spaces — LAND. So of the 81 homes that sold in 2018, what amount of land did buyers end up with? 41 of the 81 had more than 1 acre, 22 more than 5 acres and 10 of those home had at least 10 acres. 41 one out of 81 homes had one acre or more! That is often a requested acreage amount, but more difficult to find as you travel close to Nashville. There are currently 20 listings for acreage in Bell Buckle, TN. List prices range from $64,900 to $2,499,000 (with up to 132 acres)! We currently have 14 residential listings in Bell Buckle from $89,900 to $999,999. Perhaps, the Webb School Craft Show held each October or the RC Cola, Moon Pie Festival held in June, a warm meal at the charming Bell Buckle Café or other local small town favorites will bring you for a visit and the quiet atmosphere will be what brings you back looking for YOUR next home. If so, Maroney Real Estate would be honored to be YOUR real estate professional of choice to assist in your move! If you travel down US Hwy 231 South, you may very well pass the Maroney Real Estate office … depending on which route you take! We are approximately 3 miles North of Hwy 82 /Webb Road where many turn by the Shell station to travel the 5 miles into Bell Buckle. Holler at us the next time you’re in the area and we’ll be happy to schedule some showings for you!